Before Tokyo became known as Tokyo, it was named Edo. And it is from this name that we get the name of the entire era known as the “Edo Jidai”, or Edo Period (江戸時代, 1603〜1868). After Tokugawa Ieyasu’s victory at the Battle of Sekigahara, and becoming the new Shogun, he moved the capital to Edo, his strategically placed castle town. The Edo period was characterised by economic growth, strict social order, isolationist foreign policies, environmental protection policies, and popular enjoyment of arts and culture. Ukiyo-e printing became more and more popular, and so did also normal printing and book making. Water works with underground wooden plumbing was developed and maintained, and aqueducts were built to transport drinking water to different parts of Edo. And western teachings in fields such as medicine, geography, astronomy etc was introduced through the Dutch settlement on Dejima in Nagasaki. The Edo period is the last of the “samurai” periods, while the society as a whole was slowly moving forward in it’s own pace. This gives Edo a special “air”, a feeling that is attractive to Japanese and foreigners alike. If you want to dive more into this time period, I warmly recommend a visit to the Edo Tokyo Museum here in Tokyo. 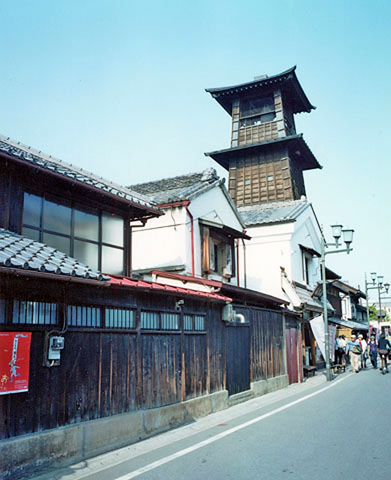 If you already been there, or want to get away from Tokyo, but still want to feel that Edo Period feeling, Then Kawagoe is the place for you! Located in Saitama Prefecture and also known as “Little Edo” (小江戸 “koedo”), it is a 30-minute train ride from Ikebukuro in Tokyo. Famous for its sweet potatoes, the local “Candy Street” sells such treats as sweet potato chips, sweet potato ice cream, sweet potato coffee, and even sweet potato beer, brewed at the local Koedo Brewery. Kawagoe castle was the headquarters of the Kawagoe Domain and occupied by close aides of the Tokugawa shogunate. Things to see here includes the Bell Tower. 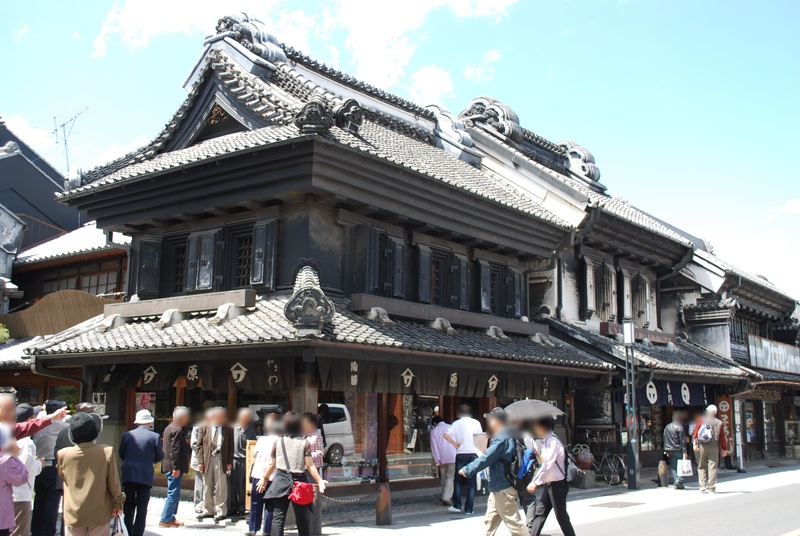 Originally built in the 1600’s, the current structure is from the 1800’s, because of the Great Fire of Kawagoe. The tower has been telling time to the city’s residents for 350 years and has been deemed as a symbol of the city. Currently, the bell can be heard four times a day: 6 a.m., 12 p.m., 3 p.m., and 6 p.m. The Kurazukuri Street is also worth a visit, with the street lined with Edo-style warehouses known as “kurazukuri” (蔵造り). 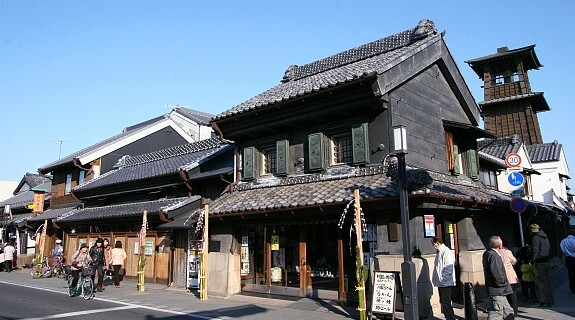 The Kawagoe Kurazukuri Museum is located in a traditional warehouse built in 1893 and allows its visitors to walk around inside and experience the life of Edo merchants. So if you have the time, and want to get out of Tokyo, and into “Edo”, why not set your sights on Kawagoe?